Like any relationship, the time can come when you decide to move along from your current patient communication application in order to try something new. For some current Demandforce users, switching to a competing system like Lighthouse 360 or Solutionreach could provide a better fit for their individual office needs. But switching patient communication applications is more complicated than switching office supply companies or Internet providers. Practice owners could lose years of worth of patient reviews and data if they don’t know what to expect from their upcoming transition. So you don’t get caught unprepared during your patient communication application transition, here are a few important tips to keep in mind when switching from Demandforce. Easy integration is one of Demandforce’s biggest selling points. Using just a few widgets and lines of code, you can easily install Demandforce on most existing practice websites. However, while this type of plug and play system makes installing and using Demandforce fairly easy, switching to the competition will cause all Demandforce powered aspects of your website to no longer function. For example, the two most common Demandforce widgets used by dental practices are the “Request Appointment” button and the “Patient Reviews” display. With just a click, the “Request Appointment” button takes patients to a contact form where they can leave basic information that will allow your front office staff to easily follow up to schedule an appointment. The “Patient Reviews” widget automatically adds new patient reviews so your website’s testimonials page stays up-to-date and accurately reflects what patients are currently saying about your practice. While both of these widgets appear on your website, they link back to the Demandforce server. Once you stop using Demandforce’s patient communication services, the company will no longer support the use of their widgets on your website. The “Request Appointment” button will no longer link to a contact form, and the “Patient Reviews” display will not only stop updating new reviews, your current existing reviews may disappear entirely. Reviewing the Terms & Conditions page on Demandforce’s website highlights a few important pieces of information concerning what could happen to existing patient reviews after switching to another patient communication application. Even after switching to another patient communication application, you’re still entitled to display any reviews or utilize any patient information you captured through Demandforce. However, while you may own this information, Demandforce does not guarantee it will preserve any patient data once your agreement has come to an end. All patient reviews recorded through the Demandforce widget are stored on the company’s servers. Switching from Demandforce to another patient communication application could mean losing hundreds of glowing patient testimonials if you don’t take the time to catalogue this information yourself prior to ending your agreement. You can’t simply feel content with leaving the old Demandforce widget in place and having your reviews no longer update because the company will in all likelihood delete all of your patient data from its servers, thereby also removing them from your website. Make no mistake, losing years worth of patient testimonials can have a very serious impact on your practice. Studies have found that positive patient testimonials can significantly influence prospective patients about their treatment options. From a marketing perspective, positive word of mouth reviews from current patients makes your practice seem far more attractive to prospective new patients searching for a dentist. The loss of this type of data can have a very real monetary cost, especially if you’re forced to start over collecting new reviews from scratch. It could take years for you to recoup the number of reviews you lost by transitioning away from Demandforce without cataloging this information. Fortunately, the one area your practice won’t suffer a step back is in search engine optimization (SEO). Google’ search algorithm loves patient reviews. The more 4 and 5 star reviews your practice features, the more authority your practice’s website will gain in the eyes of Google’s algorithm. A higher authority, the better your overall standings become in organic search results. However, the loss of Demandforce reviews doesn’t carry the same cost it did several years ago. Five years ago, Demandforce reviews would appear directly in Google search results. But Google officially removed all third party reviews from search results and from Google Places pages back in July of 2011. The review stars you now see appearing in search results are from Google’s own business review application and from Google Plus pages. This makes it possible for your practice to lose all of its Demandforce reviews without suffering an equally devastating drop in organic search results. Any customer reviews left through Google will continue to appear in your search results, and any benefit those reviews provide will continue to help bolster your website’s SEO efforts. 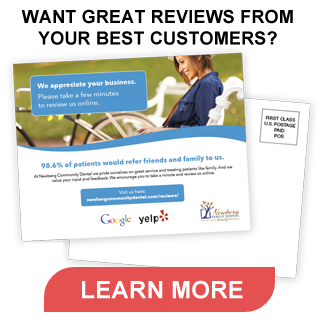 Patient reviews are an invaluable part of any practice. If you’re considering switching from Demandforce to another patient communication application, don’t let your hard work go to waste. Contact your Demandforce representative about the best practices for transferring all existing customer data, or take the time to manual record the reviews currently displayed on your website.